This is a question that I hear time and time again from people that come into my office seeking help. There are many stigma-ridden misconceptions about what addiction really looks like. The stereotypical alcoholic – homeless, disheveled, laying on a bench, drinking from a paper bag. The heroin addict – emaciated, slumped over in an alley somewhere in withdrawal, or sitting in an abandoned house shooting up with dirty needles. These images that have been ingrained in our mind just aren’t reality. The struggling alcoholic can now be a functioning, stay at home mom or the CEO of your local bank, your local librarian, or even the neighbor down the street with the perfect family. The heroin addict is now a teenager getting high in his/her bedroom while their parents are waiting for them at the dinner table, the nurse at your local emergency room, or the principal at school that recently injured his back. Does any of this sound familiar? Many people struggle with how to scale their alcohol/drug use. It is what keeps most people from ever reaching out for help, or getting the help even once they’ve recognized they need it. And unfortunately, we live in a society that thrives on comparison and labels. Unless you’re worse off than the next guy or officially diagnosed, you’re fine, right? Wrong. Addiction takes many forms, has different levels of severity, and spans a broad spectrum. So when people ask me to define addiction for them I encourage them to let go of the labels. I redirect them to look at the impact of their alcohol or drug use and how it has affected their life. 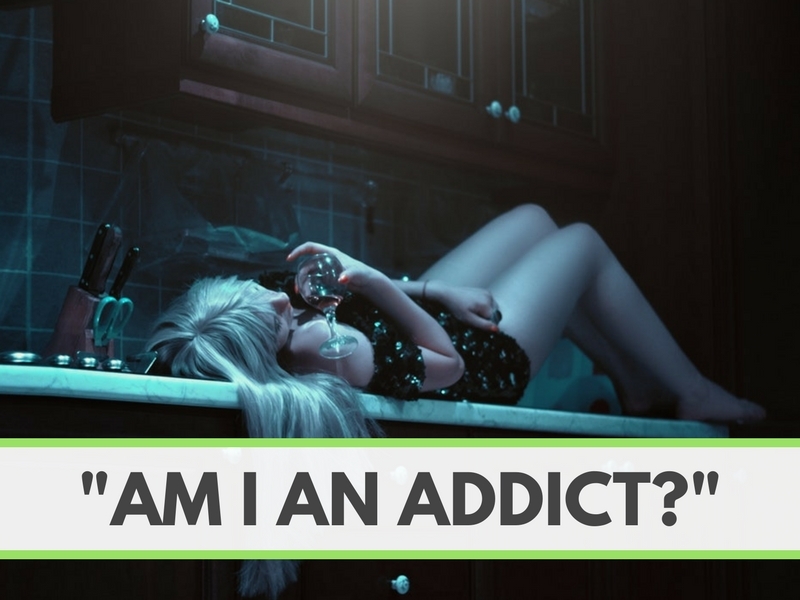 My most basic definition – Addiction is the continued use of alcohol/drugs despite consequences. Yes, there is a lot of room for interpretation in the definition, but again it’s my simple go to. When I have people that come to me and say “I just got my third DUI, my husband thinks I need to quit drinking, but I don’t think I have a problem. I’m not having the shakes like my neighbor down the street. He’s really the one that needs the help!” I quickly encourage them to evaluate the reasoning behind their continued use. They’ve suffered legal consequences because of their drinking, but didn’t feel that it was enough to quit, because they don’t actually have withdrawal symptoms. Does that mean it’s not a problem? No. It’s creating issues in their marriage, costing money in legal fees/loss of license, putting them at risk for jail time. And beyond all of this they are continuing to drink. After teasing all of that out, the next question I get is “so you think I’m really an alcoholic?” My response – “that doesn’t matter.” The label is not important. It doesn’t matter if I diagnosis you with severe alcohol dependence or purple people eater disease – the problem and symptoms are still the same. It’s important to focus on how drugs and alcohol are affecting your life and work on addressing those areas. The focus needs to remain on you and what you want for your life. If drugs/alcohol is getting in the way of that, something needs to change. It doesn’t matter if you can meet certain criteria or check of certain boxes. If you prevent yourself from healing, growth, and change because you’re not “bad enough” yet, you may only find yourself in a darker place down the road. Those people you see as much worse off didn’t start out there. At one point they were beginning to struggle and wondering if they had a problem, but didn’t think it was worth anyone’s time to seek help. So again, I encourage you. Let go of the labels. Don’t worry about your diagnosis. And don’t compare yourself to that guy you know that just went to rehab, again. If drugs or alcohol is negatively affecting your life, it’s okay to ask for help. Make a change with as little or as much support as you need to be a better you. And please remember, we’re here for you. Give us a call at (860) 454-7454 or click here to request an appointment. Because growth and healing start here. Now. Can “Play” Be A Useful Part of Therapy with Kids?